Three years. It’s hard to believe I’ve been doing this podcast for that long, but on April 16 2008, The Hopkinson Report was born. Just 2 weeks later on April 30, I recorded my very first podcast interview ever, speaking with Alexis Ohanian about their up-and-coming site reddit.com. It’s interesting to go back to Episode #3 (and 4) and hear where reddit was at the time, and also just how new and nervous I was with the whole process. So, it was with great pleasure that I got to sit down with Alexis this week for Episode #149 and compare notes, as we’ve both come a long way. How have things changed since you started reddit? How did they just pull off 1 billion page views with just 6 employees? What was reddit’s theory on development and iteration? 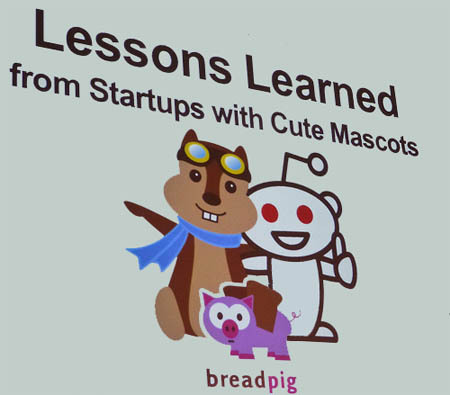 What was the key takeaway as a founder of reddit? Then as Alexis puts it, like any successfully-exiting startup founder, the next logical step was to flee the country. I think it is fantastic that they are taking on such an established industry and trying to make travel planning fun and easy. Frankly, the transition from travel agents, paper tickets, and having to CALL multiple airlines to compare costs to having a site like Orbitz launch in 2001 was so huge, that we’ve let them off the hook in terms of innovation over the last 10 years. Hipmunk HIDES search results that no human would possibly ever take. 3) Return on Continental, taking a redeye to Cleveland! One of the features they have is really cool…. a “Hotel Heatmap” overlay for shopping (girls trip to Miami? ), tourism (family trip to San Diego? ), and yes, vice (bachelor party in San Francisco?). Lastly, we discuss Breadpig, which of course is a pig with bread for wings. This entry was posted on Thursday, April 21st, 2011 at 3:41 am and is filed under Branding / Advertising, Interviews, Social Networking / New Media. You can follow any responses to this entry through the RSS 2.0 feed. Both comments and pings are currently closed.